It can only Help the units…. In nature, most seals are black, with relatively few white ones. The Navy’s SEALs have exactly the opposite problem – they’re overwhelmingly white, with hardly any blacks. So they’re trying to do something about it. 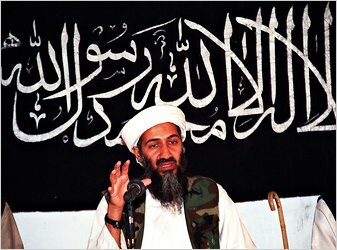 It’s a fundamental challenge in a democracy with an all-volunteer force: recruits may be drawn from all segments of society, but elite military units – and none is more elite these days than the SEALs, following their dispatch of Osama bin Laden last May – tend to draw from small pools of talent. For the SEALs, that includes athletic young men who are smart and good in the water. For whatever reason, that has led to an overwhelmingly white SEAL force. Gaps exist in minority representation in both officer and enlisted ranks for Special Warfare operators. Diverse officers represent only ten percent of the officer pool (for example, African Americans represent less than 2% of SEAL officers). Diverse enlisted SEALs account for less than twenty percent of the total SEAL enlisted population. Naval Special Warfare is committed to fielding a force that represents the demographics of the nation it serves. This contract initiative seeks effective strategies to introduce high potential candidates from diverse backgrounds to the opportunities available in Naval Special Warfare. The SEALs are considering hiring help to attract thousands of “minority males in the 16–24 year-old target age range” to become SEALs. “This contract will create a mechanism to enhance Naval Special Warfare’s ability to conduct outreach, raise awareness, mentor, and increase self-selection to a career as a SEAL within minority communities,” a recently-posted draft contract solicitation says. Ain’t that the truth. U.S. special operators have long acknowledged they face challenges mixing in with foreign populations because they look so American. The SEALs acknowledge as much: “Traditional SEAL Team demographics will not support some of the emerging mission elements that will be required,” it says. On the cover of the latest issue of Newsweek are 10 SEALs. All of them appear to be Caucasian. That’s the reality. But when you go to the SEALs’ recruiting website, there are only two SEALs. Both of them appear to be African-American. The US is still in limbo on what the government there wants in troop strength…. Remember those stories about the Iraqi’s not wanting US troops there? U.S. Navy Adm. Mike Mullen, the chairman of the Joint Chiefs of Staff, meets with Iraqi Prime Minister Nouri al-Maliki in Baghdad on April 21, 2011. Although Prime Minister Nouri al-Maliki has been seen as leaving the door open to some continued U.S. support, he has also asserted that Iraq no longer needs military help from the Americans. Any decision to extend the U.S. troop presence into 2012 would need approval from the Iraqi parliament. Compounding the problem is a wave of assassinations of government officials and threats by extremists of further violence should Iraqi leaders vote to extend the U.S. military presence. “There is no certain time or certain date to decide on the U.S. military, and we will not be in a hurry to take a decision,” Osama al-Nujaifi, the speaker of parliament, said in an interview. A growing chorus of military strategists in Washington would like a deal allowing at least some continued U.S. military presence in Iraq. Amid the broad unrest across the Middle East, they say, a U.S. foothold in Iraq is critical to help ensure stability in that country and to keep Iran and other potential aggressors in check…..
Is anyone surprised about this? The President is preparing to announce that the #1 Wanted Person for the US is dead and confirmed…. Ok….I’m going to keep Updating this post…. Click on Title for link…..
11:02 PM…They are shouting USA…USA…USA! @ The Phillies/Mets game…. US President Barack Obama says he does not rule out arming the rebels in Libya as government forces push them back….. The death toll from explosions at an ammunition plant in southern Yemen has risen to 150. Initial reports said 78 had died, but more bodies have since been pulled out of the factory in the town of Jaar. The explosion has caused great anger among locals, who accuse the authorities of planning it to try to win further support from the US, a BBC correspondent says. Yemeni officials have blamed al-Qaeda for the blasts. The explosions came after weeks of protests against President Ali Abdullah Saleh’s rule….. The Syrian government has resigned, state-run television has said. President Bashar al-Assad accepted the cabinet’s resignation following a meeting on Tuesday. The resignation is the latest concession by the government aimed at curbing pro-democracy protests in which dozens of people have been killed. President Assad is expected to address the nation in the next 24 hours to announce he is lifting the emergency law and restrictions on civil liberty…..
At least 41 people have been killed after gunmen stormed a council building in northern Iraq and took dozens of hostages. Security forces laid siege to the building in Tikrit for several hours before moving in, officials say. Several council members and a journalist are said to be among the dead and scores more are reported wounded. Tikrit, Saddam Hussein’s hometown, has been a bastion of a Sunni insurgency. Officials said gunmen dressed in military uniform stormed the provincial council building after a suicide bomber detonated his explosives outside. A long siege then began. Salahuddin provincial spokesman Mohammed al-Asi said the gunmen executed their hostages as security forces closed in.